Barrister of the High Court. Tim is a part-time lecturer at the law school. In recent years, he has taught, or co-taught undergraduate and postgraduate courses in Resource Management Law, Natural Resources Law, and Conservation and Heritage Law. During 1994-1997, he was a course instructor on the Comparative Environmental Law intensive course at the Australian Centre for Environmental Law. In 1996, Tim was an acting lecturer at the School of Law at the University of the South Pacific in Port Vila, Vanuatu, teaching courses in Environmental Law and Natural Resources Law. He returned to the University of the South Pacific in 1997 as a Visiting Lecturer, while on study leave from the University of Auckland. Tim has a keen academic and professional interest in the possible reform of existing environmental laws in South Pacific Island states. A number of the recommendations in his 1992 report, prepared for the Fiji National Environmental Management Project, were subsequently included in the comprehensive Fiji environmental law legislative project, funded by the Asian Development Bank. Tim is currently working on a proposed book entitled, South Pacific Environmental Law. Professor Ben Boer, Director of the ACEL at the University of Sydney has agreed to be the co-editor. Tim has been closely involved in a number of South Pacific regional seminars and workshops in the environmental law field including the UNEP /SPREP workshop on 'Strengthening Environmental Legislation in the Pacific Region' (1992); and the UNICRI /Com Sec / SPREP workshop on 'Criminal Law and its Administration in International Environmental Conventions' (1998). He was a keynote speaker at the regional conference on 'Sustainable Development Laws and International Treaty Obligations', held in Kingston, Jamaica in June 1998. 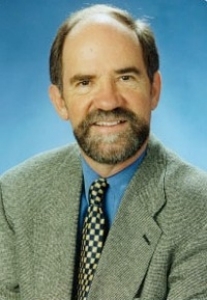 Tim is a member of the IUCN Commission on Environmental Law. He has had a close association with a number of New Zealand environmental law NGOs, including the Environmental Defence Society (EDS), and the Environmental Law Centre Inc (ELC). Tim acted as one of the general editors of the ELC's major publication, the New Zealand Environmental Law Reporter, (1994-97). Tim also has strong teaching and research interests in the area of New Zealand Human Rights Laws, especially the law relating to individual privacy. He is co-author of the book, Individual Privacy. He is co-author of the book, The Privacy Act: A Guide (1994), as well as being the author of a number of non-academic books in the field of New Zealand civil rights law, together with numerous articles and reports. Tim McBride lectured in aspects of environmental law and resource management law at the University of Auckland Law School for over 20 years. He was a visiting lecturer at the Australian Centre for Environmental Law for a number of years, and held similar positions at the University of the South Pacific Law School in 1996 and 1997. He played an active role in the establishment of NZCEL, and was the Centre’s first Deputy-Director. After Tim retired from the Law School in 2004 he practised as a barrister, and worked as an environmental law consultant. Tim also served as an elected member of the Devonport Community Board from 2007-2010. During this time he became an accredited RMA decision-maker, and acted as a RMA commissioner. He is currently an author and commentator, primarily on human rights issues.